It’s been a slower than usual for quilt finishes this year but I have one I’m proud of and would like to share here. But first, welcome to my blog! It’s a new-ish blog and a modest one at that, but you’ll find that I work hard to quilt every day. This is where I record progress, triumphs, and sometimes failures. It was made for an exhibit of traditional blocks made modern for a display my guild did at another guild’s quilt show. I had a beautiful spectrum of greys leftover from a few previous quilts so I put those to good use. Original blog post with loads of details is HERE. 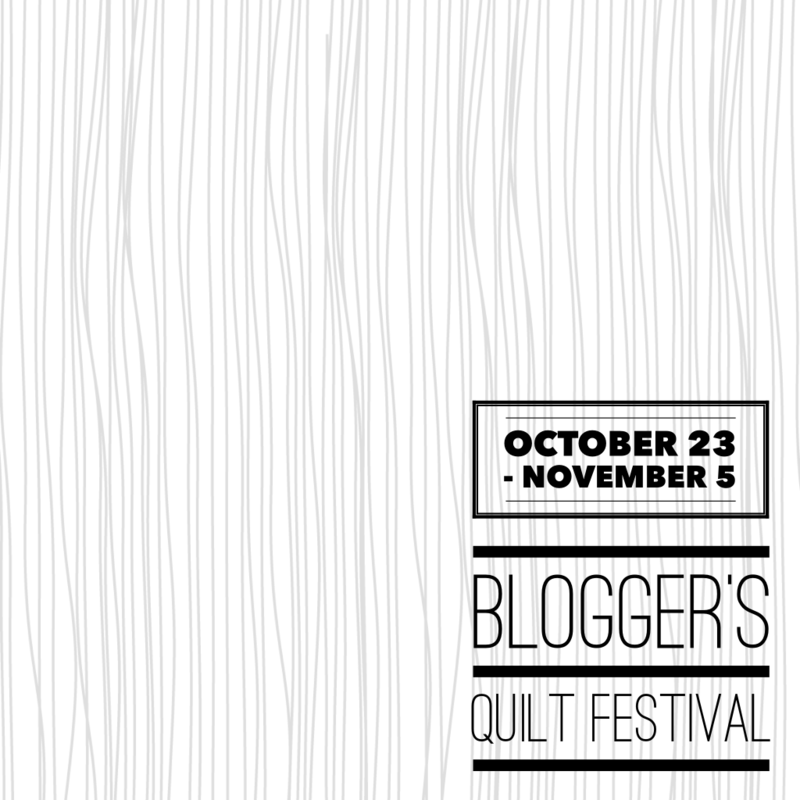 The Blogger’s Quilt Festival will run September 19th through September 31st. Check out AmysCreativeSide to view all the beautiful quilts linked up. There are lots of categories filled with inspiration! My other entry for this year is “Get to Know Me” in the mini quilt category. Here are links my quilt entries from last year, my first time ever joining in. If this is your first visit to my blog and you are interested in ways to follow along on my quilting adventures, you can find me on Bloglovin’, Instagram, add me to your feedly reader or get my blog sent right to your email inbox by entering your email address on the right sidebar. Thanks for visiting my blog. made in the week between Christmas 2015 and New Year’s Eve. Submitted to the Art Gallery of Greater Victoria self portrait contest. Details HERE. 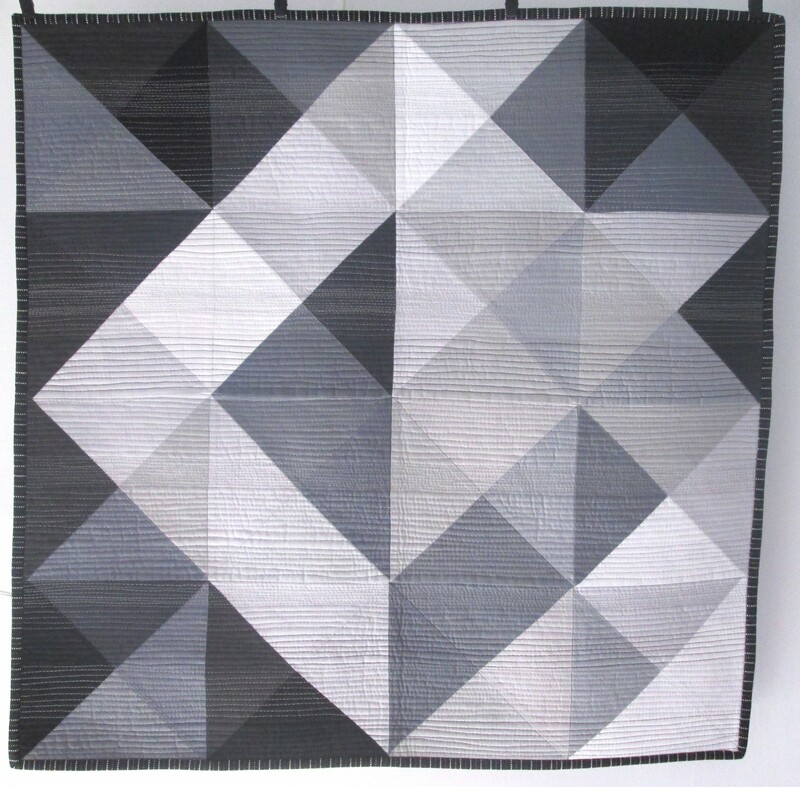 My other entry for this year is “Modern Hexies” in the modern quilt category. I sing the trimming song! 160 down, 52 to go. That’s 75% done. And the Fall 2016 Blogger’s Quilt Festival has closed. Thanks to Amy for running and hosting it. I’m pleased to mention that I came 6th for my entry in the modern category. Many thanks to everyone who voted for my quilt!